Folks, this book sucked me in. I'll admit that I wasn't so sure about it at first--I don't always have luck with books or movies that take on the The Big Chill trope, but this is one of the success stories. It could have been because the characters in this book were my contemporaries and they had attended a university similar to the one I went to. Or it could be that it was just a fun book to read. Scotch brings these characters to life so well that I really felt that I was there with them. And, well, let's just say that the ending didn't just give me misty eyes...I had full-out crying going on (and, of course, I was sitting in a waiting room. So, you know...embarrassing). This is definitely a book that has stayed with me after I put it down and I would definitely recommend it. 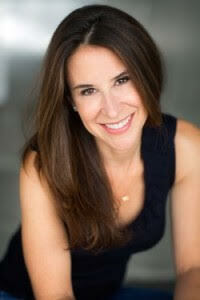 You can connect with Allison Winn Scotch on her website, Goodreads, Facebook, and Twitter. Want to read what others thoughts of this book? Check out the rest of the stops on the tour! 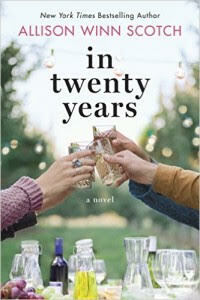 Thanks to TLC Book Tours and Lake Union Publishing, I have TWO copies of In Twenty Years to give away! This giveaway will run until midnight on July 7th and is open to readers in the US and Canada.